Written by admin on July 24th, 2018 January 16th, 2019 . 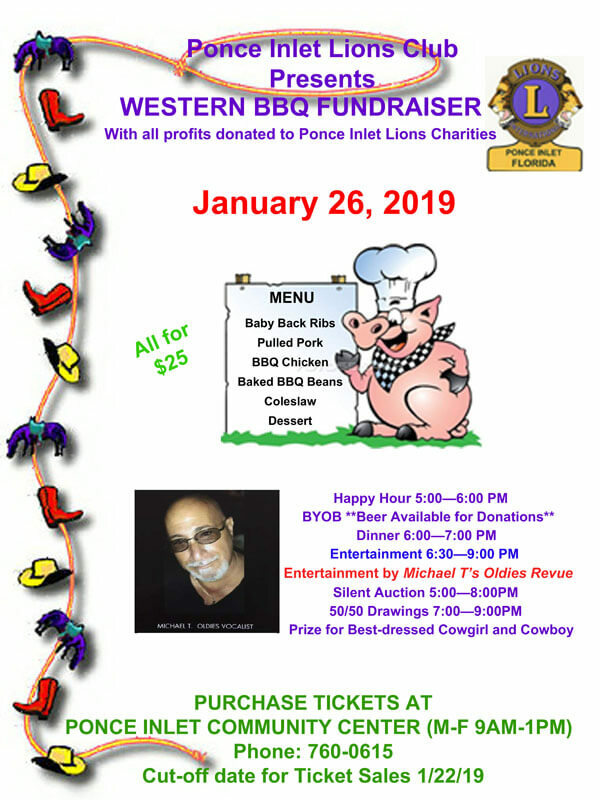 Start the new year off by supporting the PI Lions Fund Raiser to raise money for all Ponce Inlet Lions Charities. Cut-off date to purchase tickets 01/22/19 – whichever comes first.